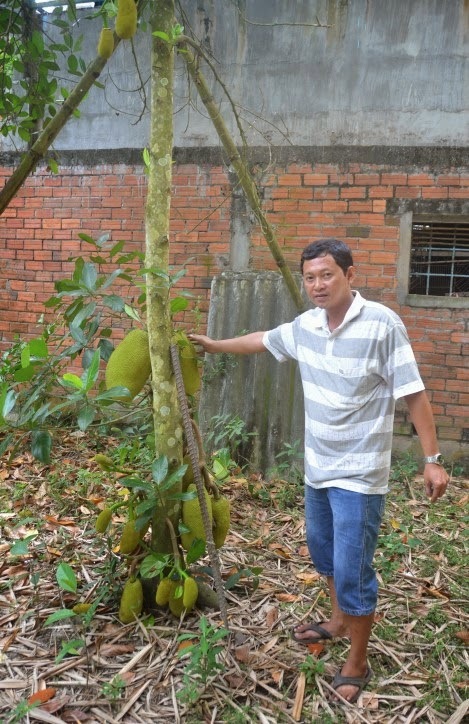 Some Vietnamese do cook and eat young jackfruit but not any people I know here in the Mekong Delta. My relatives living in or near Soctrang have never eaten them or know how to prepare them. I have read that some Vietnamese make a salad from the young jackfruit and I have always been interested to try. However, having no access to these young fruits it is a bit tough to do any experimentation. Lucky for me, my grandmother's backyard has a productive jackfruit tree. There were many young fruits and I wanted to take this opportunity to pick one to prepare. It was about was about 2 1/2 pounds and it took a few hours of boiling for it to get fork tender. with the star (pictured left lower). next to the jackfruit tree. In a pot large enough to submerge the jackfruit, add enough water to cover it. Once the water boils then turn the heat down slightly, cover the pot and let it gently boil for about 1 1/2 to 2 hours. Take a chopstick or fork and poke the jackfruit. If you can skewer into part of it then it is done. It does not need to be soft all the way through since the core will be removed and discarded. Let it cool down before handling. Trim the ends and cut into 2-inch rings or whatever the size you prefer. Remove and discard the skin (outer layer) and the core (center part of the fruit). The meaty portion can then be used. 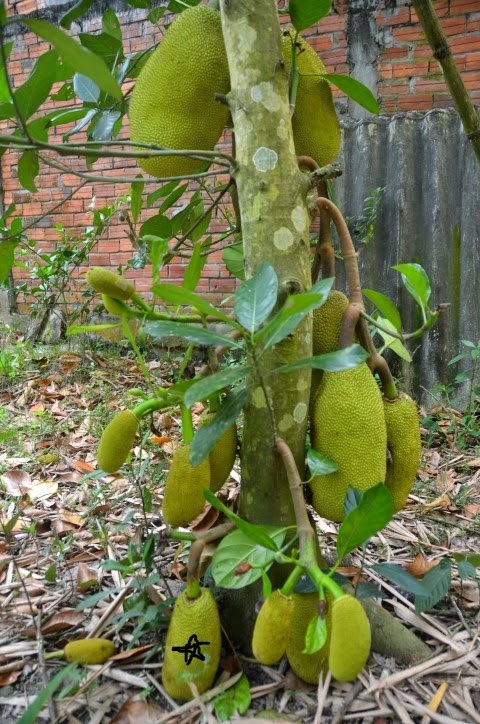 *It is best to pick a small young jackfruit for cooking. This way it will cook faster. 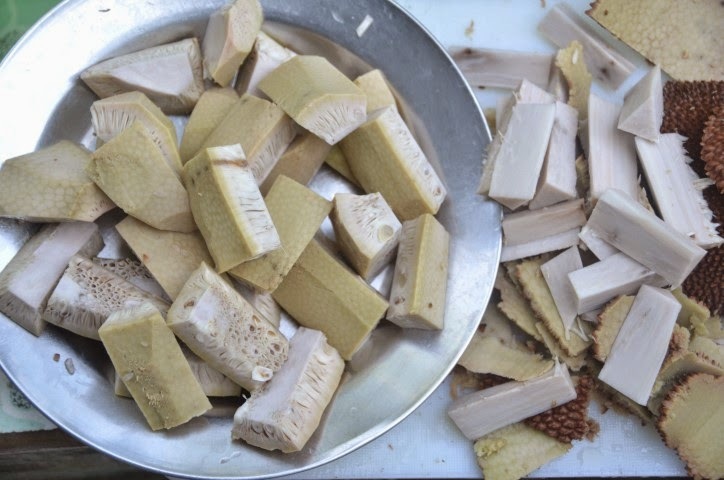 Avoid cutting into the young jackfruit since it is full of sticky white sap that is hard to remove. Wear gloves when handling the fruit if interested. Also don't be alarmed that the boiling water turns black. I think it is from the sap being oxidized from exposure to the air that makes the water this color. *Click on this link for more information on jackfruit. *Here's The Scoop On Jackfruit, A Ginormous Fruit To Feed The World from NPR.